I will always have a soft spot in my heart for Vortex Drilling Ltd. This was the very first drilling rig I ever photographed commercially, outside the paper. It was brand new, on its first hole, for a brand new company. The weather in June was absolutely spectacular. I’ve only had a few days of doing this sort of photography when the weather cooperated so well. The album this photoshoot produced set the bar for everything to follow over the next several years. It was the model for how I’ve shot all other rigs since. Usually that entails a full day out on the rig, crawling all over, taking pictures of every little detail. I stayed until sunset and got some spectacular shots, two of which ended up on my business cards and also as canvases in the lobbies of local hotels. Keep your eye out for them and you might see one of these, seen below. I haven’t had the opportunity to shoot Rigs 2 or 3 yet (someone asked the other day if I’d come out to his rig). Maybe some day. Do you have a rig you’d like me to profile in my 12 days of Christmas? Put your requests in the comments on my Facebook page. Don’t forget to share. Cyber Monday Sale Nov.30 Only! On the fifth day of Christmas, the toolpush gave to me… Stampede Drilling Rig 3. Stampede Rig 3 was working close to the U.S. border at the time. Indeed, I think it has spent most of its career drilling withing a few miles of Mackenzie Meats, which made for a good snack when I was out there. I believe Stampede 3 is the newest rig in the Saskatchewan drilling fleet at this time. While some of the other rigs you may have seen before, this is the first time I have put photos of Stampede Rig 3 out “in the wild.” There are some really good sunset shots. Also, I went out an extra day to get photos of Stampede 2 and 3 working close enough together that you could get both in the same photo. It’s rare to have two rigs from the same company working so close to each other. For the video slideshow I had to pick a country song for Bill and Jackie, the crew that runs Stampede in Estevan. The Stampede Drilling Rig 3 gallery can be found here at Stampede Rig 3. On the fourth day of Christmas, the toolpush gave to me… Panther Drilling Rig 2. This rig was working really close to the U.S. border at the time. The pictures with the numerous pumpjacks are significant. That’s because that one rig, Panther Rig 2, punched all those holes. The Panther Drilling Rig 2 gallery can be found here. Okay, this was interesting. I had done photos for the Gilliss family several times. I made a video for Gilliss Oil Tools and did still photos for the patriach, Dean Gilliss, a while back. I spent the better part of a year getting photos in -52 C windchill and +29 C summer to get photos for Gilliss Casing Services, which the sons Dylan and Logan (and their buddy, Wally) took over and now own and operate. So what could this be? 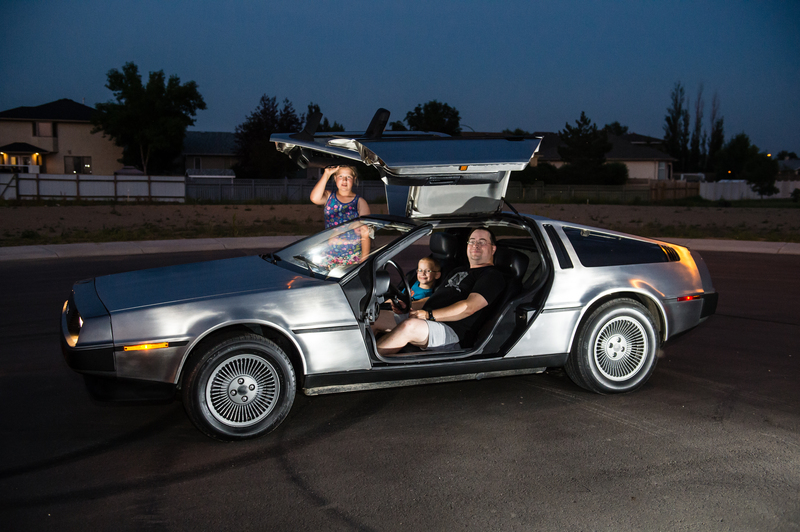 “Can you take pictures of Dad’s DeLorean?” Logan asked. 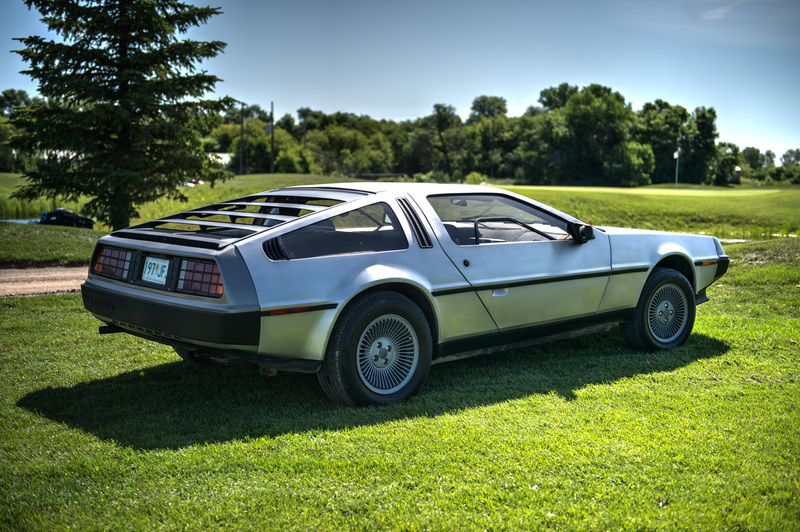 Sure enough, they had a DeLorean, taken out of storage. Dean wanted me to take some nice photos of it to list it on eBay, after having owned it for many years but not really having done much with it. Now, this is like asking a photographer to take photos of a supermodel with their cellphone and say, “Okay, good enough.” Not gonna happen. If I was going to do this, I was going to do it right. And I wanted a chance to drive the car. I actually remember seeing the car on the Price is Right when I was 6-year-old. Here’s the clip. Go to 1:11. It was spring time, the ground was brown, there was nothing green or nice around. “Let’s wait until things green up,” I suggested. Very well, that’s what we would do. Before we would take the photos, the car would need to go in for a good detailing, to be taken care of by Dean’s good friend in town. He would look after the car. 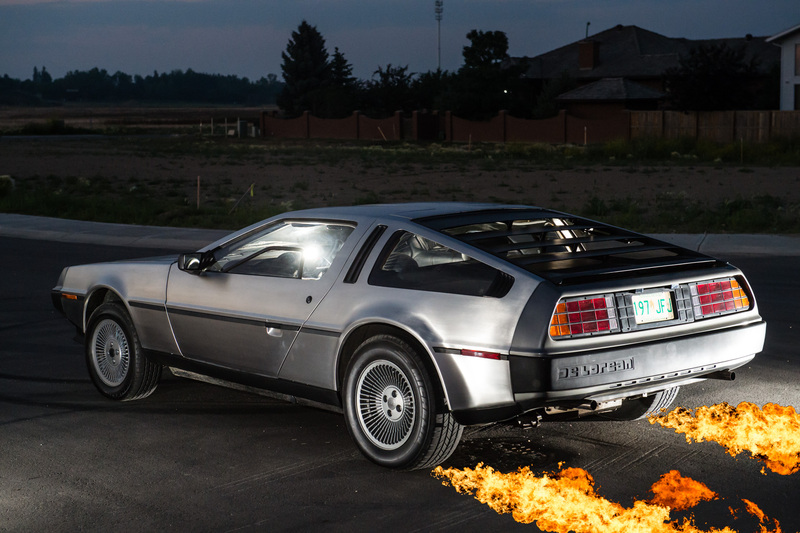 I tracked down a DVD from HMV of Back to the Future, and watched it three times to psych myself up for this shoot. 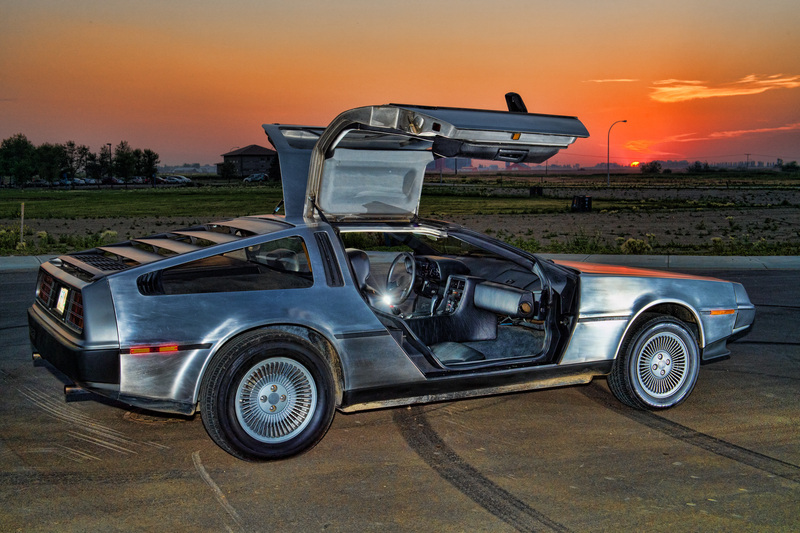 I also watched several hours of documentaries about the car, the company, and its founder/designer, John DeLorean. The gull wing doors, rear-mount engine and stainless steel body make this one of the most distinctive cars of all time, and that was before the movie made it cool. 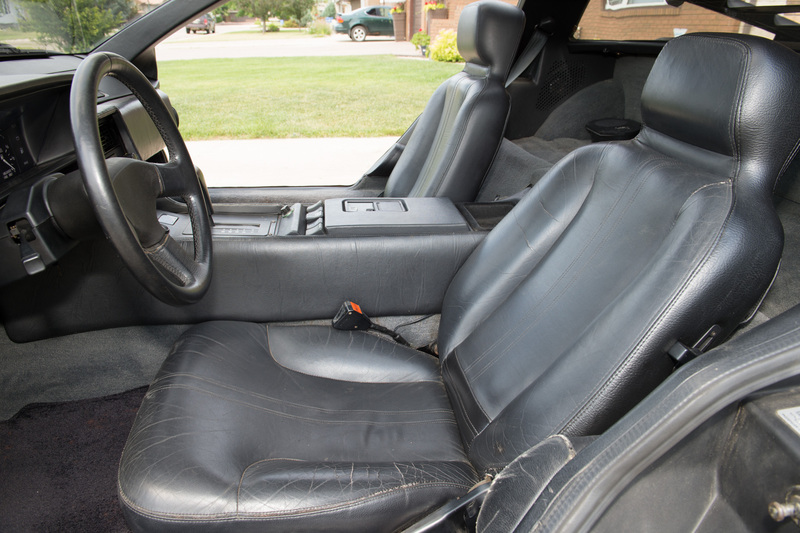 The car was made in Northern Ireland during the worst time of “The Troubles.” It was only in production for 21 months, over three model years. Total production was 8,583. It’s body is made of stainless steel, long before all of our kitchen appliances were. That number is very close to the mileage on this particular car – 8,593, the miles on the odometer when it was in my garage. (Note I said miles, not kilometres. This was built for American consumption). Then I had to find somewhere to photograph this car. It’s been the driest spring and summer in recent memory. Where would we find someplace nice and green? 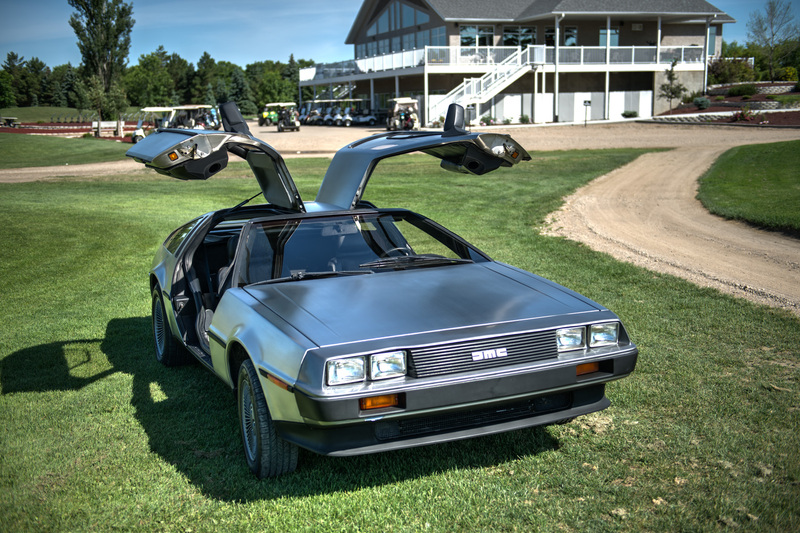 Then I remembered that the Gilliss clan has supported the local TS&M Woodlawn Golf Course for many years, so I called them up and they were kind enough to let us bring the car out there. That photo shoot ended up being very abbreviated because I had a story for the newspaper I had to cover that morning (which I thought started at 1 p.m.) We would have to get together another day to finish the rest. The car went back in a garage. A little later the car was dropped off at my place, where, with the help of my wife, I had set up a 30 foot backdrop allowing for interior shots with my new massive strobe umbrellas for soft, even lighting. But first we ran out a few blocks to the newest piece of pavement I could find, a newly-constructed but empty bay just behind the hospital. During this evening shoot we had one guy on a motorbike and two guys in a pickup pull up, get out and stare in awe at this car while they took pictures with their cellphones. My patient wife and kids fed the mosquitoes and helped out, too. The kids were thrilled to get to sit in it for a bit. It was worth the mosquito bites. This was a full out, use every technique I could think of shoot. 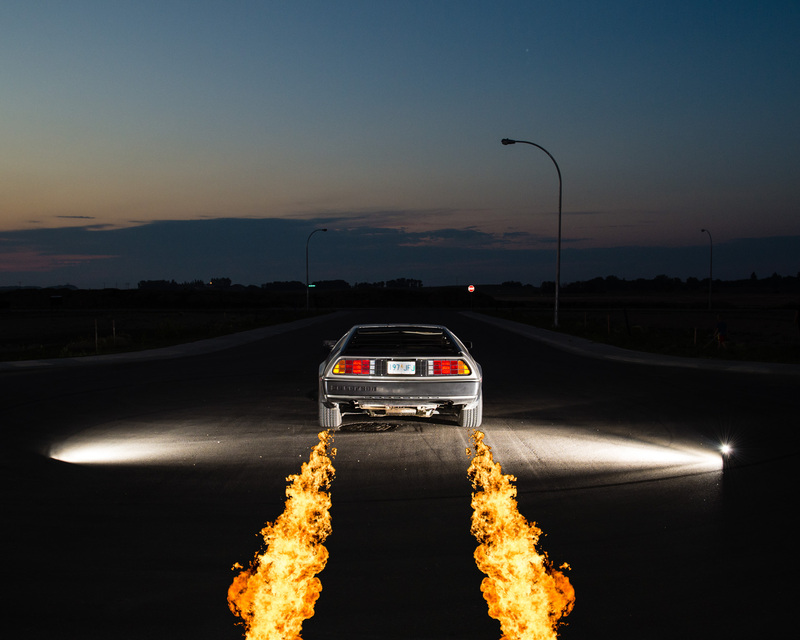 I’m talking 5-shot brackets, high-dynamic range editing, wireless flash triggering around and inside the car, compositing flames from a flare picture I took several years ago, the works. Back at home, I was up till 1 a.m. fussing over the detail shots in the garage. The next morning, it was another two hours of taking the last set of photos for the eBay listing, showing all the details car auctions need. Does it go 88 miles per hour? If you want to know, put in a bid on eBay and find out. All told, 1,886 photos, 13 video clips (to be edited later), three shooting locations, three days, and editing until 4 a.m. But it was worth it. This was a once-in-a-lifetime opportunity. When the eBay listing is posted, I will post it here. Check it out.